Robert Lake is a salt lake that is extremely important to the local and migrating bird population in Kelowna, BC. 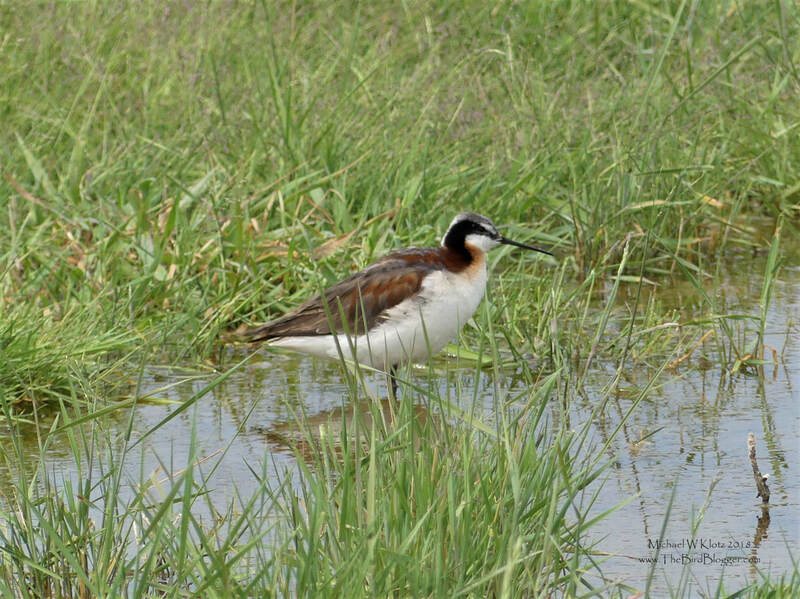 In the spring the Wilson's phalarope meet here to breed on the semi flooded fields where plenty of invertebrates also call home. As the summer moves on the lake drys up and the total footprint might shrink by almost half leaving the dissolved salts to crystallize on the plants. This is a femail phalrope told by the more striking markings as the females of this species is known for.